What complications arise when two separate transactions are used to structure an asset sale of a physician practice? The key to compliance is to hit a reasonable middle ground under somewhat competing frameworks, and carefully drafting, documenting, and reporting accordingly. Valuators play a key role not only in establishing and documenting the fair market value of the purchase price, but also the corresponding allocation of corporate versus personal goodwill, including how it relates to the intangible value of workforce in place (WIP). Physician practice divestitures to hospitals and health systems continued at a steady pace throughout much of 2016, bringing with it continued governmental agency focus on these financial transactions. As selling physicians and purchasing hospitals negotiate the purchase price, and related purchase price allocations, they also must also navigate potentially conflicting approaches per varying regulatory frameworks. When it comes to structuring an asset sale where selling shareholders hold certain of the practice goodwill assets apart from the corporation, teeing this up as entirely separate transactions may seem the most prudent course of action from a tax code perspective. The sellers may propose two distinct asset purchase agreements—one concerning the sale of corporate assets and one concerning the sale of personal assets—in order to avoid confusion especially in the event of an audit by the Internal Revenue Service (IRS). However, this bifurcation into two distinct transactions could be problematic under the Federal Stark Law. The key to compliance is to hit a reasonable middle ground under somewhat competing frameworks, and carefully drafting, documenting, and reporting accordingly. Valuators play a key role not only in establishing and documenting the fair market value of the purchase price, but also the corresponding allocation of corporate versus personal goodwill, including how it relates to the intangible value of workforce in place (WIP). In any asset sale of a physician practice that involves goodwill, the purchase price will be allocated among the assets, including WIP, in order to accurately report the sale on IRS Form 8594. Where a sale includes payments to the corporate entity (the practice) and individual shareholders, the purchaser will file multiple Form 8594s (one for each seller with respect to its assets). In turn, the sellers report the purchase in their personal income tax filings. Obviously, the tax reporting by each of the buyer and seller(s) needs to align. While these allocations typically break down into categories that the parties agree to without much discussion, in an asset sale where the practice operates as a closely held C corporation, the individual shareholders may look carefully at how much personal goodwill vs. corporate goodwill there is in the sale. They will benefit from reduced tax liabilities to the extent they can sell personal goodwill associated with the practice separately from any corporate assets. Working through these issues raises not only IRS concerns but also concerns where the physicians are selling to a hospital or health system since these sales often implicate the Stark Law as well. The amount of remuneration under the isolated transaction is consistent with the fair market value of the transaction; and not determined in a manner that takes into account (directly or indirectly) the volume or value of any referrals by the referring physician or other business generated between the parties. The remuneration is provided under an agreement that would be commercially reasonable even if the physician made no referrals to the entity. There are no additional transactions between the parties for six months after the isolated transaction, except for transactions that are specifically excepted under the Stark Law other than this exception and except for commercially reasonable post-closing adjustments that do not take into account (directly or indirectly) the volume or value of referrals or other business generated by the referring physician. Therefore, in order to protect the selling physician(s) from making prohibited referrals under the Stark Law, and the purchasing hospital from submitting prohibited claims under the Stark Law, the purchasing hospital should be paying a fair market value purchase price which does not take into account volume or value of referrals for inpatient or outpatient hospital services (or any other services that constitute “designated health services” under the Stark Law). And, of course, the agreement must be commercially reasonable without regard to referrals. These two components are common to the majority of the Stark Law exceptions, but the third component is unique and sometimes overlooked. This component precludes the parties from relying on the isolated transactions exception more than once in a six-month period, although standard post-closing adjustments, such as a reconciliation to accounts receivable as set forth in the asset purchase agreement, are permissible. The goal, of course, is to limit the use of this exception, which rarely applies to anything other than the sale of a practice, so as to avoid a series of payments related to a practice sale. If a sale could be staged, the thought is that the buyer could be assessing the volume or value of referrals as it enters into a subsequent “isolated” transaction involving a payment—meaning a particular arrangement is not fitting within the variety of other exceptions that cover all common financial relationships (e.g., leases, medical directorships, employment). So we are at a potential disconnect as between tax regulations that would seem to favor separate transactions for the sale of personal and corporate goodwill, and the Stark Law that requires that the sale of a practice be handled in one “isolated transaction.” However, an asset purchase agreement could provide for the overall transaction in a single document but with a clear delineation as to what the individual shareholders are selling versus what the corporate enterprise is selling and what the respective obligations of the selling corporation, selling physician, and purchasing entity are. The aggregate asset purchase agreement should attach separate bills of sale and contemplate two sets of closing deliverables—those from the shareholders to the buyers and from the corporation to the buyers. The key to compliance under either regulatory framework is to ensure that the payment is reasonably allocated as between or among the sellers. And, of course, from a Stark Law perspective and with respect to purchasers that are tax-exempt organizations, the purchase price should not exceed fair market value. For example, if a purchasing hospital were to simply allocate all goodwill to the physician shareholders without considering the reasonable corporate component of goodwill, this would be problematic to the IRS (as it, of course, disfavors tax allocations that are intended to avoid higher, yet applicable, tax rates) and also to the U.S. Department of Justice and the Health and Human Services’ Office of Inspector General as they look to whether hospitals are commercially reasonable with respect to deal terms, without regard to volume or value of referrals. Simply put, from a fraud and abuse perspective, federal agencies could apply the “but for” test and deem the transaction outside of the Stark Law exception: “but for” the practice bringing the potential of referrals within the hospital or affiliated health system, the purchaser would never agree to skew purchase price allocations so as to provide more money in the seller’s pocket from a tax perspective (i.e., most taxpayers will not want to take risks in terms of getting caught up in a tax dispute between a seller and the IRS or having to refile the Form 8594 accordingly). Further complicating the matter, while the more traditional forms of personal goodwill tend to be clear, there is some debate in the industry as to whether workforce in place can ever be allocated in whole or in part as personal goodwill of the selling shareholder physicians in a deal—yet WIP can be a significant component of a purchase price in physician deals. The majority of references on this matter simply include workforce in place value as a purely corporate enterprise value, but do not discuss whether or not it may be treated as personal goodwill in certain scenarios. However, if we apply the same rationale that we apply when considering whether certain other intangibles are rightfully considered personal versus corporate goodwill, some practices may see a split with respect to WIP as well. Applying these characteristics to the facts and circumstances of a particular practice could result in two very different goodwill allocation—and related tax liabilities—outcomes. Corporate goodwill will be significant in a large practice heavily marketed under a brand name that is strong in the market, with solid covenants not to compete between the corporation and its shareholder and employed physicians, and long-term contracts between the corporation and third parties for services of the physicians where the contract provides for the corporation’s ability to assign different physicians to the contracted services as opposed to the third party contracting for the services of a specific physician. 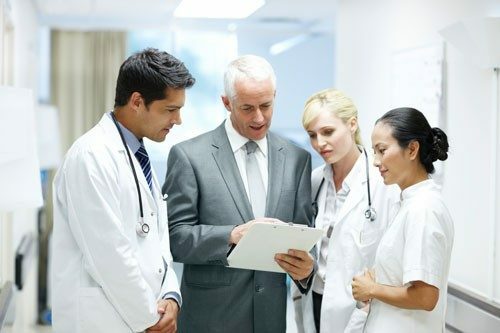 Where these factors are not present and the shareholder physicians are closely involved not only in providing healthcare but also managing the day-to-day operations and maintaining closer relationships with patients and staff members, personal goodwill may outweigh corporate goodwill. In terms of the intangible asset of workforce in place, an argument can be made that some portion of WIP value also could be allocated to the individual shareholders. Under the same theory that a corporation has not adequately protected its corporate goodwill if the physician shareholders have not agreed to covenants not to compete and could simply leave and set up a new competing practice without recourse, we can argue that a corporation has not adequately protected its WIP intangible value to the extent it also has not precluded the shareholders from soliciting the workforce in place. In other words, if shareholder physicians are personally involved in recruiting employed physicians—say through their participation in teaching medical residents who may then join the practice—and also have the loyalty of these and other nonphysician staff members, these shareholders not only could leave and compete but also very likely successfully solicit the WIP to follow. Again, how much allocation is appropriate in this scenario requires a fact-intensive analysis. It is unlikely that the corporation would maintain no WIP value given that it maintains the employee benefits and compensation infrastructure and the then-current WIP without disruption. Anticipating how easily shareholders may leave, and take WIP with them in a seamless manner, is a fairly subjective analysis but should involve a review of documents to confirm the presence or lack of sufficient corporate protections, a good understanding of the history and nature of the practice and how well-regarded the shareholders are by the other WIP. As the purchase price valuation documents the aggregate purchase price, it should also include an analysis of the factors that support personal goodwill allocations. In summary, corporations and their individual shareholders (as among each other) can and should be protected by various enforceable covenants to the extent shareholders are in agreement (covenants not to compete, not to solicit patients or sources of referral, and/or not to solicit staff, each as may be further addressed under applicable state law). However, with smaller practices that are more focused on personal relationships and close involvement of the business owners in the day-to-day operations, a valuator may find at the point of sale that these corporate protections are lacking. These factors, along with others noted herein, could support personal goodwill allocations accordingly and should not be overlooked. 42 C.F.R. § 411.353(f) (2013). Intangible Assets in Healthcare, HealthCare Appraisers, Inc., Nicholas A Newsad et al (pages 9–10), May 2014. Lynn Gordon chairs the firm’s Health Care practice in Chicago. She concentrates on the transactional, regulatory and operational needs of hospitals, health systems (including AMCs, DSH, CAH, community, regional, and national systems) and other provider entities, as well as life sciences companies. She counsels clients on mergers, affiliations, acquisitions, and divestitures. She also advises clients on regulatory issues such as compliance with fraud and abuse laws, FDA regulations, and Medicare/Medicaid reimbursement rules. Ms. Gordon can be reached at (312) 977-4134 or by e-mail to lgordon@nixonpeabody.com.